It’s been a very busy first two weeks and it is a great delight to see the children settling so comfortably into their new classes and routines. I wanted to take this opportunity to update you on some of the things we’re working on at the moment and that will be happening over the coming weeks. Your child’s class teacher will be emailing you a ‘Settling In’ report on 7 October. This will give you an overview of how your child is performing in some key areas, as well as specific comments from your class teacher. Please look out for them in your email folder. All our teachers and pupils are looking forward to welcoming you to their school and classrooms over two evenings on 8 and 9 October. 8 October – 6.00pm to 8.00pm – will be for parents and pupils of Year 1 and 3. 9 October – 6.00pm to 8.00pm – will be for parents and pupils of Year 2, 4, 5, 6 & 7. This casual evening will be an opportunity for us all to come together as a school community and to experience where and how your children learns and what projects they have been working on. Your child’s teacher will welcome you to their classrooms, followed by a drama performance and art exhibition in our Hall. We really look forward to seeing as many of you as possible. We do not have any parking at our school, so could I please ask you to use public transport or one of the three car parks nearby. Please click here – and scroll to the bottom to see a map of our local car parks. We really welcome the opportunity to share with you how we teach and support your child’s emotional and academic development. I’m attaching our programme of Parent Workshops for our first two terms. If you would like to attend any of these sessions, could you please email our academic secretary, Ms Ricky Au Yeung at ricky.auyeung@nais.hk so that we can ensure we have enough seating. As we anticipated, we have had a few difficulties to navigate as we introduce our new bus service. We really do appreciate your patience as we try and streamline getting the children quickly on and off the buses, while keeping our strong commitment to safety. Earlier in the week, Mr Cooklin held a meeting with our bus company to work through a few issues. The bus company has committed to enhanced training for the bus-escorts and are reviewing drop-off times, which we know have been a source of concern. We should have an update on drop-off times early next week. We’re also looking at increasing the zone where the buses can park so that we can load and unload more efficiently and sending SMS messages to alert parents to any delays in afternoon drop-offs. Thank you again for all your comments and suggestions over the past two weeks. These really do help us to improve this essential service. Finally, we would really appreciate you letting us know as early as possible if your child will not be taking the bus. Often we have delays as we get last minute calls to pull a child from the bus, and this does hold up the departure for all the children. We have had an overwhelming response to our programme of ECAs. As we’ve had such strong demand, we have taken the decision to postpone the start of ECAs until Monday 6 October. This will allow us time to organise as late buses and to ensure that we can offer ECAs to as many children as possible. As we have mentioned before, the late bus will go to five or six centralised drop-off points and you will need to ensure that your child is safely picked up from these drop-off points. We’ll be updating you on activities and buses towards the end of next week. We’re delighted to have launched our Class Blogs this week. These are designed to give you further insight into the learning that is taking place in your child’s classroom. 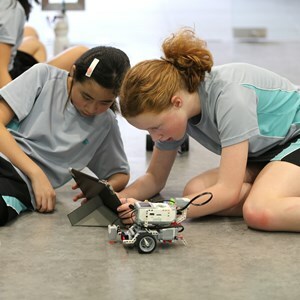 Each Year Group has its very own blog and you will be sent the specific link to access this by the teachers. These blogs are a great way to record specific highlights of the week but also to serve as a log of all the learning that takes place over the year. Some teachers will use this interactively, placing homework and activities on the blog, for others it will be a child-led diary of their learning experiences at NAIS. Please contact your child’s form teacher if you’ve not received the link to you Class Blog. We already have a high number of applications for pupils wishing to start in August 2015. If you have a younger child wishing to join us in 2015 that child will enjoy “sibling priority” during the application process. But we can only do this if we have received their application form. 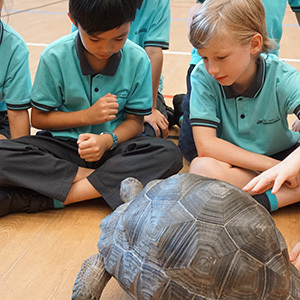 Please send your application to Maddi Palser at: admissions@nais.hk before 15 October. We cannot guarantee assessments for sibling applications received after this date. It is a government requirement that we have a record of your child’s resident status in Hong Kong. As such, please could you provide either: (i) a copy of your child’s Permanent Resident HK ID Card; or (ii) a copy of your child’s latest Hong Kong visa. I do appreciate that many of you have already provided these records, but we have been asked by the Education Bureau to check everyone’s status. 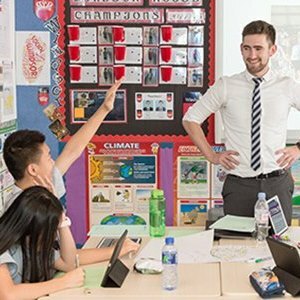 You may scan and email a copy to admissions@nais.hk or send a hard copy in your child’s school bag. While you may not think you need them yet (! ), we have added our winter uniform order form to our website. Items will be available to buy from end-October at our uniform shop, Aston Wilson. There is no time at which children officially need to wear winter uniform; rather we encourage you to talk with your child about when they need to wear some additional layers. The two-in-one windbreaker top has a useful semi-waterproof layer (good for light rain), but we also recommend that you buy a lightweight rain coat/mac – something that can be folded up into a small package and kept in the bottom of your child’s school bag at all times. Finally, we do expect all our children to take pride in their uniform. It’s part of what creates our strong school community. Our PE teachers have spoken about how smart our pupils look in their PE uniforms, however they would like to remind you all that the children should wear white sports shoes/trainers, or predominately white. I do hope that you all received an email last week with the Curriculum Newsletter for your child’s year group. If you missed it, then you can still see them on our website. Click here. 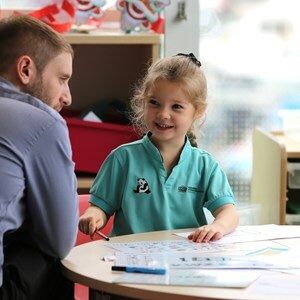 We believe that an open communication between parents, teachers and support staff at NAIS is an essential part of supporting your child’s learning. Please feel free to email your child’s class teacher directly (please note that any reply may be delayed while they are teaching) or the Head of Year 7, Simone Reid. You may also contact our Assistant Principals, Sarah Harley (Years 1 to 4) or Christian Bishop (Years 5 to 7).